To out emphasis on a small quantity, you can insert one of the following three adverbs: 只(zhǐ), 就 (jiù) and 才(cái), translatable as “only”. jīntiān shàngkè de rén hěn shǎo, jiù/zhǐ/cái shíyī gèrén. Today there were few in class, only eleven people. Wǒ cái/zhǐ/jiù shuìle liǎng gè xiǎoshí. Zhè běn shū tājiù kànle yī biàn, bụ̀ huì bèi de. He only read this book once, he can’t know it by memory. 就, which means “just”, and 才, which means “only just”, are two adverbs frequently used in the Chinese language, more in the written form, than the spoken. Although they can be translated respectively as “just” and “only just”, their use is much more complex, so we’ll analyze their occurrences in detail, comparing them. 就 is used when a speaker considers that an action takes place quickly, when it happens “soon” or when the time it takes to happen is brief. When it expresses this meaning, you can find 了(le) at the end of the phrase. wǒ cóngxiǎo jiù xǐhuan dǎ lánqiú. I enjoy playing basketball since I was little. 才 is used to signal the recent completion of an action (“just, only now”) or with a restrictive value “only”. Wǒ cái cóng Chóngqìng huílai kǎ tǎ ní sāi tǎ bùjiǔ. Not long ago I got back to Caltanissetta from Chongqing. 才 is also used when a speaker considers that an action takes place slowly, when it happens “late” or when it takes a long time to happen. When expressing this meaning, there can never be 了 at the end of the phrase. Yǎnchū qī diǎn bàn kāishǐ, tā qī diǎn jiù dào jùchǎng le. The show starts at 19:30 and he got to the theater ar 7. Yǎnchū qī diǎn bàn kāishǐ, tā bā diǎn cái dào jùchǎng. The show started at 19:30 and he only got there at 20. Zhè běn shū tā niànle shífēn zhōng jiù huì bèi le. He read this book out loud for ten minute and already knows how to repeat it. Zhè běn shū tā niànle yī gè xiǎoshí cái huì bèi. He knows how to repeat this book only after reading it out loud for an hour. Tā gāng shēngbìng jiù gàosu māma le. As soon as he got sick he told his mom. Tā bìng hǎole, cái gàosu tā māma. He told his mom only after he got better. Tā yī bìyè jiù huíguó le. He returned to his country right after graduating. Tā bìyè yī gè yuè hòu, cái huíguó. He returned to his country only a month after he graduated. Tā hěn cōngming, yī xué jiù huì. He is smart. He learns right after studying. Wǒ yị̄xià kè jiù qù túshūguǎn kànshū. I go to the library to read as soon as class finishes. Wǒ yị̄xià kè jiù qù túshūguǎn kànshū le. As soon as class finished I went to the library to read. Tiān gāng liàng, wǒ de péngyou men jiù zǒu le. My friends left as soon as it was daytime. 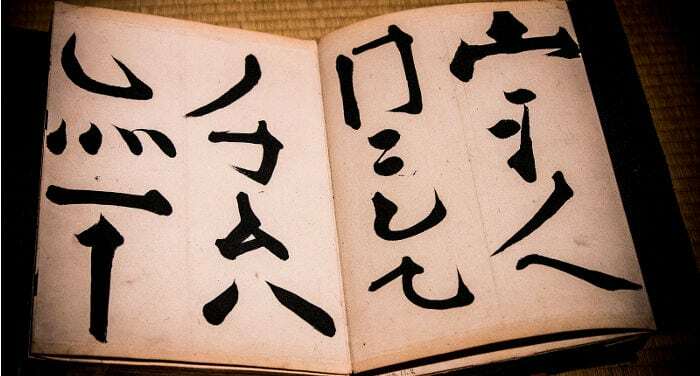 When 就 and 才 are found in a phrase that indicates a temporal arc, 就 expresses that the speaker considers that they’re “late”; 才, on the other hand, expresses that the speaker considers that it is “early”. Nà tiān, kànwán yǎnchū, wǒmen dàojiā jiù jiǔ diǎn wǔshí le. That day, after seeing the show, we only got back home at 21:50. Nà tiān, kànwán yǎnchū, wǒmen dàojiā cái jiǔ diǎn wǔshí. That day, after seeing the show, we just got home at 21:50. Zhǐyào nǔlì, jiù huì chénggōng. So long as you work hard you’ll have success. Zhǐyào qù Zhōngguó, jiù huì chī zhèngzōng de Zhōngguócài. So long as you go to China, you can eat authentic Chinese food. Xuésheng zhị̌yǒu duō tīng duō shuōduō dú, cáinéng xuéhuì Zhōngwén. Only if students listen, speak and read more can they learn the Chinese language. Zhị̌yǒu zuò fēijī cáinéng dào Zhōngguó. You can only go to China by plane.